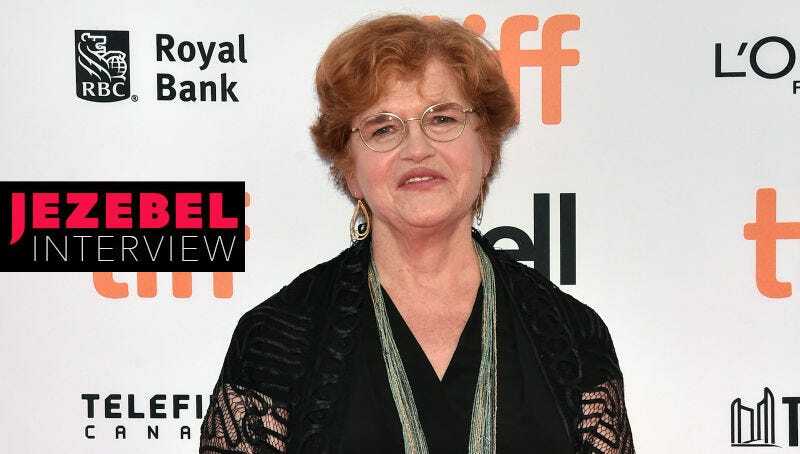 Deborah Lipstadt at Denial’s TIFF premiere in September. Image via Getty. Denial, a film based on the true story of the legal battles between a Jewish scholar and a Holocaust denier, asks a timely question. What do you do when you are confronted with a lie told with bluster and confidence, again and again, in direct contradiction with established facts? Many Americans have been asking these questions during the past year as Donald Trump has taken political dishonesty to new and disturbing heights. But few people have thought about these questions as much as Deborah Lipstadt, a professor of Modern Jewish History and Holocaust Studies at Emory University and the real life heroine of Denial, played in the movie by Rachel Weisz. The film, based on History on Trial, Lipstadt’s 2006 account of the contretemps, depicts the years-long legal battle she fought against David Irving (played by Timothy Spall), who sued her in the United Kingdom for libel after she called him a Holocaust denier in a 1993 book. In court, he sought to clear himself of the label “Holocaust denier,” and of charges of anti-Semitism—even though he had written florid apologia for Hitler, had associated with neo-Nazis and white nationalists, and had argued—in writing—that there had never been a massive and organized annihilation of European Jews. At trial, Lipstadt’s defense team decided that neither she nor any Holocaust survivors should testify. Instead, Irving, who represented himself, faced a relentless stream of experts who detailed his repeated, careful attempts to exculpate the Third Reich. One expert noted that Irving had deliberately transposed a singular German word into the plural when translating Himmler’s phone log—thereby attempting to prove that Hitler had attempted to stop the liquidation of German Jews. (In fact, Hitler intended to halt a single Judentransport.) Tapes were shown of Irving soliciting “Seig Heil!” from adoring crowds. The judge fully absolved Lipstadt of libel, and, in his ruling, chronicled Irving’s abuses of the historical record, as well as his anti-Semitism and racism. All of this is portrayed in Denial, but the film does not mention another of Irving’s trials: in 2006, he was sentenced to three years in prison in Austria for Holocaust denial. Sixteen years after the events of Denial, Lipstadt says the internet has made both facts and lies more accessible than ever. She believes there’s an even greater laxity about the truth today than there was then—a devolution that she has watched with dread. While the democratization of information enabled by the internet has largely been a positive force, she explains, there has been attendant democratization of fact and its interpretation. Talia Lavin is on the editorial staff of the New Yorker. She writes about books, movies, and her feels.